The financing of Albatros Energie Mali (AEM) won the Deal of the Year award at African Utility Week’s awards night in Cape Town on 16th May. 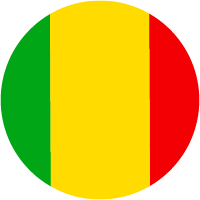 Albatros Energie Mali is building a 90MW power station in the Kayes region of Mali. Private Infrastructure Development Group company, the Emerging Africa Infrastructure Fund (EAIF) has supported the €123.1 million project with two loans; a €5.8 million conventional loan and a €3.9 million Sha’ria financing facility. The new plant will benefit the Mali economy by reducing its power import bill and cutting the need for renting mobile generating capacity. Power from the AEM plant will be supplied to Mali’s national grid and initially improve reliability of supply to major cities and low to medium voltage users. As large industries become connected to the grid the plant will contribute to their power needs. 183 local people were recruited to build the plant. When operational, it will employ 53 staff, 50 locally engaged.